O (Observation): God makes good on God’s promises. We see this through the covenants God has made with creation and specifically through the Hebrew people…through Noah, Abraham, David, Jeremiah, fulfilled in the person of Jesus, the Christ, the anointed one. In this particular instance, Solomon is speaking – honored that God is working through him, David’s son. Solomon acknowledges God’s covnenant with his father, and is honored to be a part of fulfilling this path to building a house of worship. A (Application): What is your path? Is today’s path part of God’s larger picture for your life? Sometimes, we can get bogged down in worry and fear that this path – today – is not good or right. But I would beg you to take stock of what God is up to. Is your path today an opportunity to meet someone? To experience something that God can take and redeem? Will your path reveal someone to you today, who will lead you into new revelations? 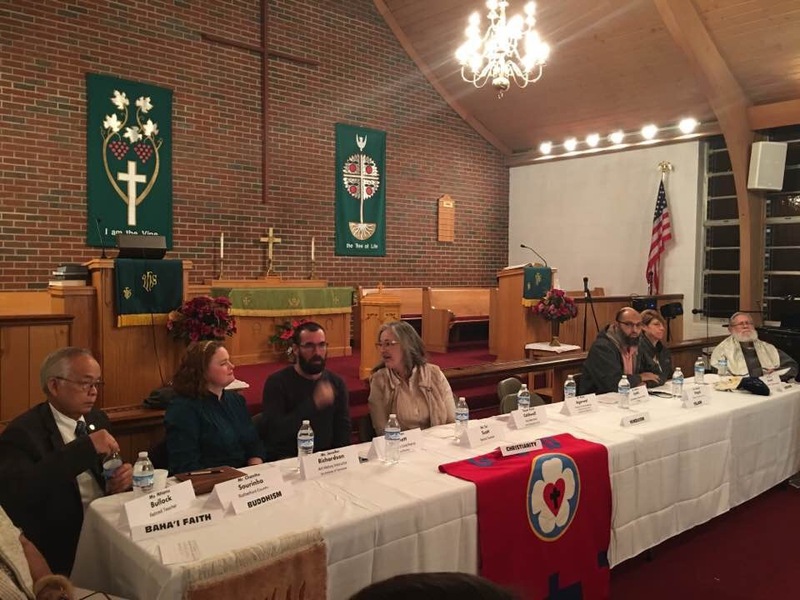 Last night I met several such people at the Rutherford County Interfaith Council panel discussion on “Building Bridges of Tolerance.” We quickly learned that the word “tolerance” was in and of itself a poor choice of a word, for our goal is to embrace one another, not merely to tolerate one another. To anyone who is fearful of reaching across cultural or religious boundaries, talk to me or someone who has been about that work. Let them go with you. I will be happy to set up appointments to break the ice. In these interactions, we will see that God’s story is a part of all of us. That we have a place in the big picture. That we all matter. So, if you haven’t reached out, what’s holding you back? P (Prayer): Lord, give us bold brace spirits, willing to listen and follow you. Amen.